Mix everything and prime a pan or grill to make your pancakes. Make them as usual, letting them brown a little before flipping onto the other side. Mix everything in a bowl and put in the microwave for a minute or so. Mix and let cool a little. 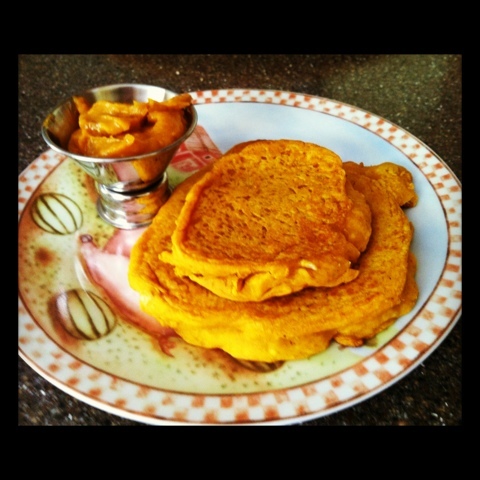 Spread the Pumpkin Butter on your pumpkin pancakes and top with maple syrup. 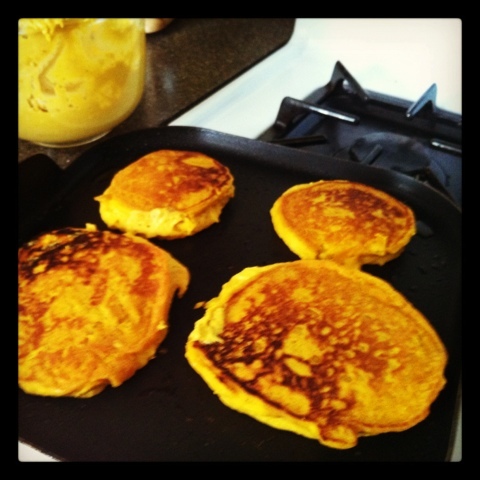 Mmmm, easy pumpkin pancakes. Looks tasty! 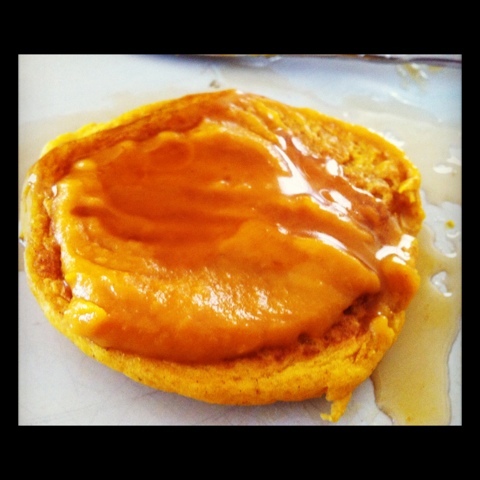 Pumpkin butter is a nice touch!